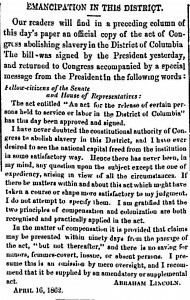 Two remarkable statutes became law 150 years ago today. 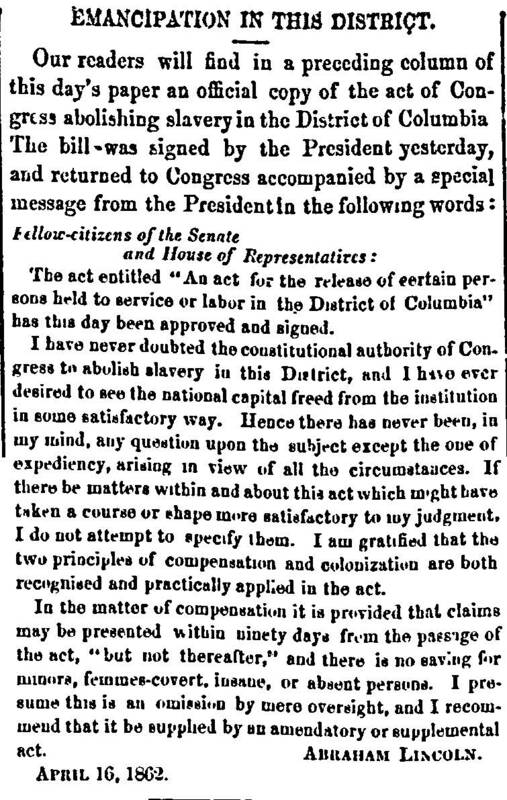 The two legislative bodies that passed them sat less than 100 miles apart, and — whether directly or indirectly — both had to consider the same then-existing American practice: slavery. Yet in terms of their causes and their effects, the two statutes could not have been more different, and the two legislatures might as well have been in different galaxies. One law set people free; the other conscripted the unwilling into bearing arms. And the Civil War raged on. 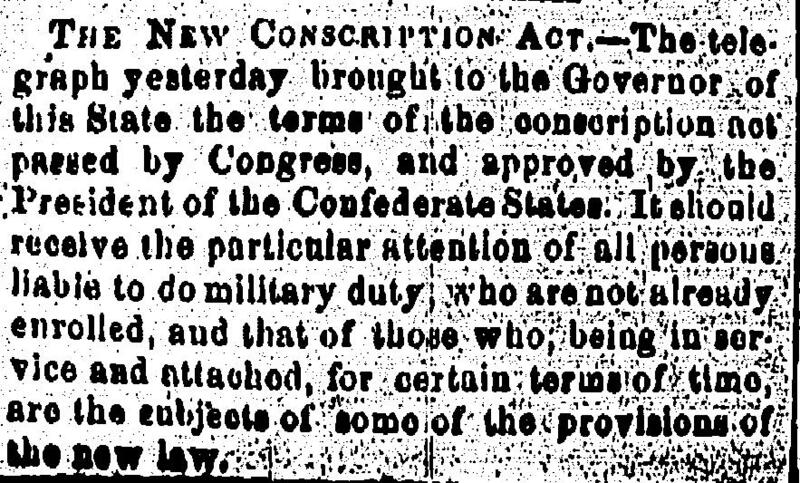 Because the conscription statutes provided for exemptions, records of county courts throughout the South may produce documents of those seeking exemptions from conscription. Later in the war, Enrolling Offices in each county were to review requests for exemptions and special details;19 records often still exist at the county level. For those whose efforts to avoid service failed, Compiled Military Service Records for Confederate Troops are held by the National Archives20 and available online at services like Ancestry.com and Fold3.com. 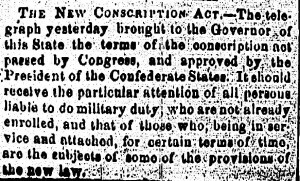 Other possible sources of conscription records include the Museum of the Confederacy in Richmond and state archives such as the Library of Virginia and North Carolina State Archives, just to name two. Two very different actions, 150 years ago today. Freedom on one hand. Conscripted military service on the other. And about the only thing the two have in common is the one thing we can all be grateful for today: the creation of records we can all use — no matter what side of the Mason-Dixon line our ancestors fell on. Challenging times indeed – and lots of records for people to research. Thanks for this very interesting juxtaposition of law anniversaries. Thanks for the kind words, Celia!